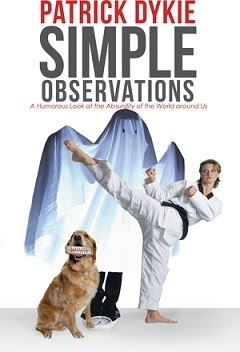 Here are a few more extracts from my new book, “Simple Observations, a Humorous Look at the Absurdity of the World Around Us.” I am also promoting a book giveaway. I will be giving away (1) hardback copy, (5) softcover copies, and (10) E-books from Book Stub. All you have to do is send an E-mail to p.dykie@aol.com, and write “Simple Observations Contest.” If you are randomly picked as I winner, I will contact each of you personally, tell you of your prize, and ask for a shipping address. The prizes will be sent to winners, free of any costs, anywhere in the world. The contest will run from 2/22/2018 through 3/24/2018. I’m not asking for any reviews of the book. Just read it, and enjoy the stories. If you liked the book, tell a friend about it, or loan your copy to someone else. I have always appreciated those who have come here to read my posts. There are still free E-books available through BookGrabbr, and can be accessed at the top right hand side of my blog. Thank you. It seems appropriate that my book starts with babies, and ends with zombies. Babies enter the world, and begin a new and wondrous journey. Then, a few months later, after multiple sleepless nights, incessant crying, and the changing of thousands of diapers, the parents usually look like zombies that have just completed a long night of rampaging. 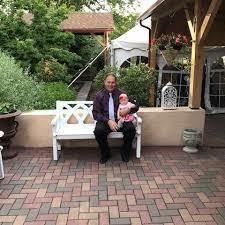 I like to tell new parents to relax, and enjoy these precious moments. It won’t be long, and your little bundle of joy will be a teenager. You’ll still be having sleepless nights, and listening to crying, but on the bright side, you won’t have to change any diapers. How about those wedding cakes? They’re never big enough. Would it kill the baker to add a couple more layers? They always cut them into tiny, little, almost microscopic pieces, and distribute them to the guests. Here, at table forty-seven I’m so hungry, I’ve already eaten all the sugar packets, finished all those little mints, and I’m busy gnawing on what’s left of a chicken bone. Now, they bring me a little plate with what looks like an hors d’oeuvres with frosting! I once heard, if a single woman puts a piece of wedding cake under her pillow, she will dream of her future husband. I don’t know about that, but I once dated a woman who kept a gun under her pillow. I think she dreamed of shooting me. The relationship didn’t last. It’s a good thing I ended this book with my simple observations of Zombies, and can get out of here. I’m a little creeped out from one of the female zombies, I saw on the latest episode of “The Walking Dead.” She looked exactly like one of my ex-girlfriends. To be honest, she looked a little better than when we went out on our first date. She also seemed to be pointing at me from the television screen as if to say, “Why didn’t you call me? I sat by the phone for three days!” This is just great. The only thing worse than having a woman mad at you, is having a flesh-eating zombie woman mad at you. Good one mate, and well done. Thanks Ivor. By the way – that was one lovely lass in the picture. pffft. you don’t stand in a burnt spot with an umbrella. you stand there with a goodly length or re rod. Thanks for stopping by Kim. If you’re carrying a rod, I have a feeling the test will prove that lightening can strike the same place twice. Your new books sounds great, Patrick.